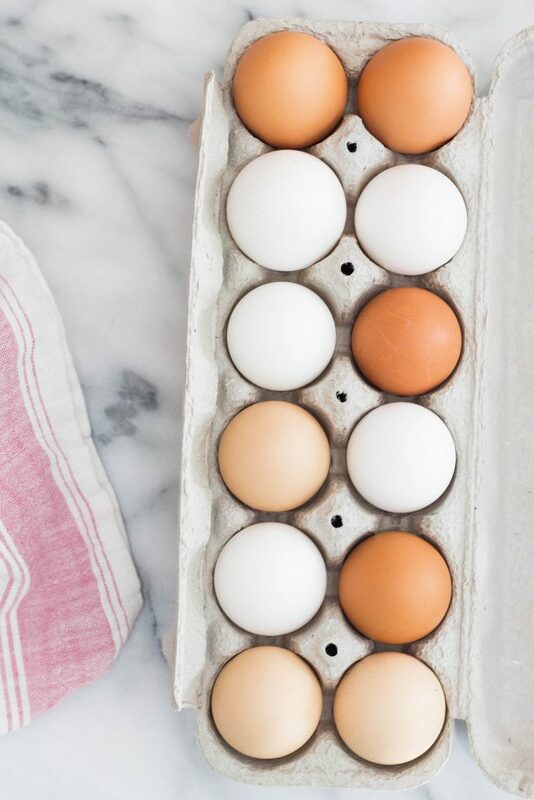 When buying eggs, how often do you find yourself standing at the refrigerator case, reading over all the different labels on the cartons, and wondering which is the healthiest, greenest, and most humane? At this point, we all know the difference between natural and organic, GMO and GMO-free, but the terms on egg cartons still mystify a lot of us. The best way to ensure you know what you’re getting? Buy your eggs locally and talk to the farmers to find out how they’re raising their chickens–most farmers markets have at least one vendor selling eggs and if not, it’s usually pretty easy to find local farmers with a quick Google search. The next best option is to know which labels to seek out and which to avoid. “Cage Free” is singly the most misleading term in the egg business: it makes you think “Oh, no cage? They must be out running around outside!” Nothing could be further from the truth. In reality, opening the cage doors is a great step, but it still means you generally have 250-350,000 hens in a single barn in a crowded, competitive environment with little to no outdoor access (usually just a pophole out onto a fenced, cement patio) eating only grains and feed. Don’t be fooled by cage free: it’s really barely even free. Similarly, Free Range doesn’t mean much either–it just means hens have access to an outdoor environment, but makes no guarantees how often or even if they use it. Another label that might catch your attention is Vegetarian Fed; this means the chickens aren’t fed offal from other farm animals, but it doesn’t mean the chickens only eat plant matter–remember, chickens naturally forage for bugs and grubs. Omega 3 is another label pertaining to the hens’ diets. In this case, it means they’ve been given an omega 3 supplement. As for Antibiotic Free and Hormone Free? These are two more terms that might make us feel good, but don’t mean all that much–it’s not legal to give hens hormones, so you can rest assured that any eggs you buy are free of added hormones, while antibiotics are rarely, if ever, used even in conventional farms.